Every time you go to the dentist, your hygienist likely preaches the importance of flossing. If you are like most people in the U.S., it might be difficult to encourage yourself to floss daily, but since you are brushing regularly, you probably aren't concerned. However, a recent study has further highlighted the important benefits of flossing by examining the effects on the mouths of twins. A new study completed by researchers at NYU's College of Dentistry assembled about 1,100 pairs of twins, including both female and male fraternal and identical twins up to 21 years old. These twins were all living in disadvantaged neighborhoods in Montes Claros, a city in northeastern Brazil. This community had limited access to dental health care, and water fluoridation was inadequate. These issues put residents at a significant risk of experiencing decay. Researchers then followed 51 pairs of twins that were well-matched, and they examined how their mouths changed after flossing for two weeks. It was found that after two weeks, decay-causing bacteria and other oral pathogens were "overabundant" in the group of participants who didn't floss when compared to their twin who had flossed. The twins who flossed also had significantly less gum bleeding - 38%. 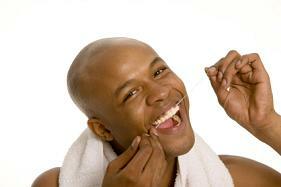 This study was thought to be one of the best studies examining the benefits of flossing. The twins all had similar dietary habits and health care practices, and they also lived together, making environmental factors non-issues. The major takeaway from this study is that when your dental hygienist tells you how important it is for you to floss regularly - listen! Flossing just once per day should only take 3-5 minutes, and it is clear that this simple activity can go a long way in reducing harmful oral bacteria. The end result should be a healthier mouth and a healthier body. Please contact us if you have any questions about flossing and your oral health.